It’s been seven years since Don Draper uttered that now-famous line and fans first fell for Mad Men‘s world of ’60s advertising. Now you can relive every ad pitch, steamy tryst, historical moment and classic quip when AMC begins airing the entire series, starting this Sunday, Nov. 16 at 6AM/5c and every week leading up to the premiere in April. The full series encores kick off with Peggy Olson‘s first day at Sterling Cooper in Season 1, Episode 1, “Smoke Gets in Your Eyes,” followed by a deep dive into Don’s domestic life in Season 1, Episode 2, “Ladies Room.” Afterwards, test your knowledge of the episodes with the Episode 101 and Episode 102 Ultimate Fan Games. Want a more comprehensive refresher? 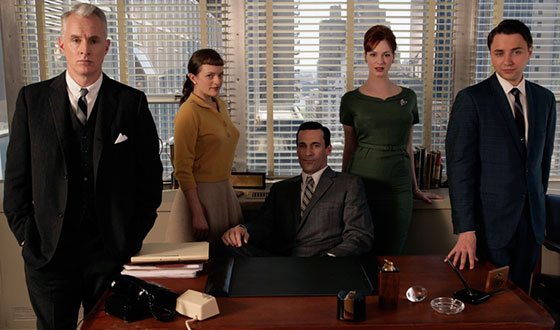 Check out the Mad Men Episode Guide for full recaps, season overviews, cast interviews, trivia quizzes, photos and more. Mad Men encores begin this Sunday, November 16 at 6AM/5c.